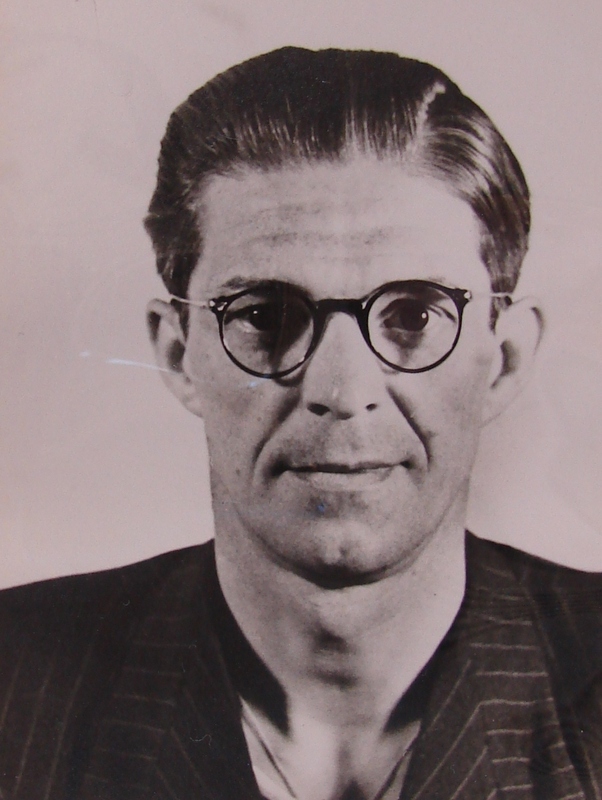 If I had any artistic talent whatsoever, I would attempt to draw the fashion ensemble that Josef Jakobs was wearing when he parachuted out of the German aircraft on 31 January, 1941. Alas, my skills do not lie in that direction, despite the fact that my mother studied as a seamstress and seems to have a bit of talent in that direction (see drawing at right). 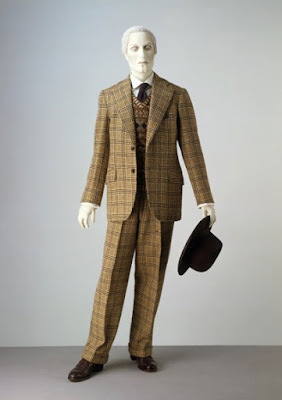 There are several excellent descriptions of the clothing that Josef wore but, given that we are separated from that time by 75 years, the words "lounge suit" really don't create a picture in my mind. 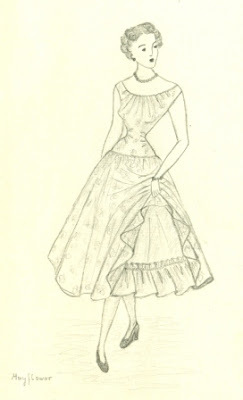 Researching German fashion in 1940/41 is also a bit of a challenge. 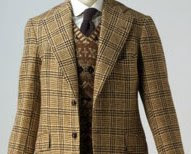 If, for example, I find a picture of an English overcoat from 1940, would that look the same as what Josef was wearing? Good question. To which, at the moment, I have no answers. But, I figured I'd start somewhere. 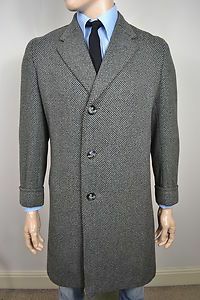 I found a picture of a grey tweed overcoat, but one made in England and it doesn't quite look herring-bone. Still, I figure it gives one an idea of how Josef would have appeared from the outside. Given the fact that he parachuted into a rather soggy England, one wonders why he was not also equipped with a trenchcoat and/or an umbrella. This one is a bit trickier. 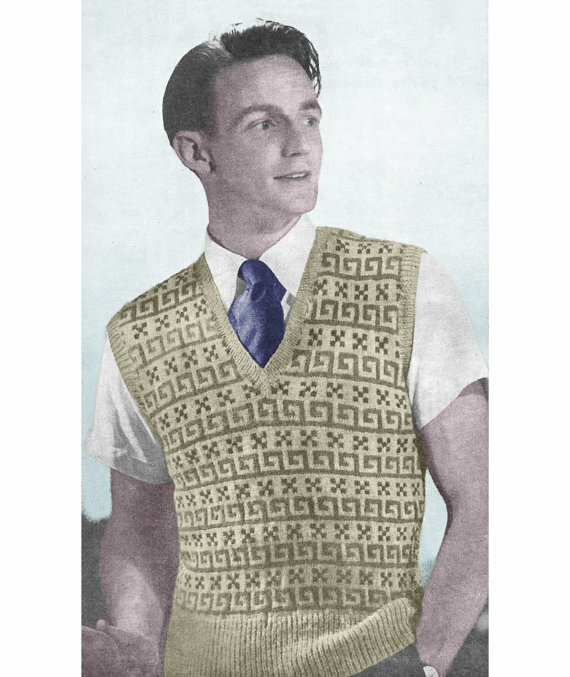 Searching for "lounge suits" and "1940s" on Google produces a bewildering array of images. Some English, some American, some European. 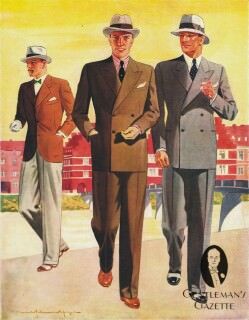 This first image is from a German fashion magazine from the 1940s so probably provides a fair approximation of Josef's suit. 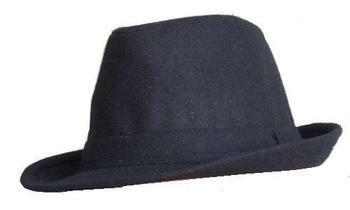 Another image... looks grey and striped, and similar in style to the image above. There is one photograph of Josef in what appears to be his suit. It would appear to have been quite dark-grey. 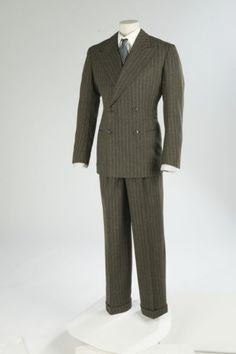 It also turns out that around the early 1940s, men were switching from wearing vests under their suits to wearing pullovers, something akin to this image from the Victoria and Albert Museum. When I hear the word pullover, I think of a full-sleeved sweater but apparently these types of pullovers were sleeveless. Given that Josef was wearing a grey suit with a blue hat, blue tie and blue handkerchief in his breast pocket, it would seem likely that his pullover was grey or blue-toned. Josef was apparently wearing 3 pullovers and 2 vests when he was found, which would have been quite bulky. Some lists indicate Josef had one shirt with collar and tie, while other indicate he had three shirts with a separate collar and tie. 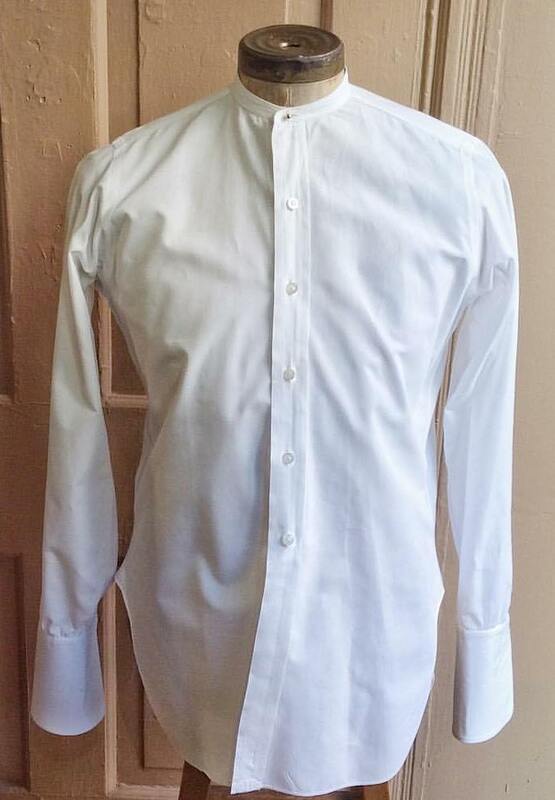 A separate collar is a bit mysterious but was apparently quite common back then. The full ensemble, with tie, might look like this. 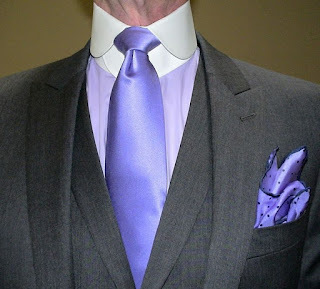 Albeit, this gentleman is wearing a different cut of suit with a vest and not a pullover. But, you get the idea. 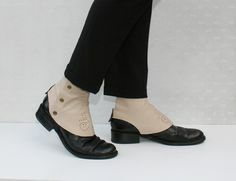 To close off the sharp look that Josef was sporting, he was also wearing a pair of black shoes that were covered with grey spats with zip fasteners. 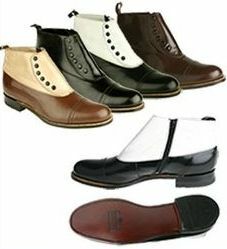 Spats served two purposes, they protected shoes from mud and rain, and dressed up the entire outfit. They were usually made out of canvas or felt. One MI5 report noted that Josef's shoes had brown laces but, clearly, if he was wearing spats, it didn't matter if his shoe laces were bright pink, no one would have noticed. Finally, topping off his outfit was a blue trilby hat.